Whether it's a perfectly stylish 20-count that sits on your desk in the office - trust us, your clients thank you! 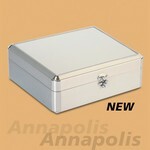 - a larger piece at your home that houses your daily smokes, or a small, classy, leather-bound humidor that fits in your breast pocket that you can take to your next important business meeting, we have a wide-range of storage solutions in a variety of beautiful finishes to fit your every need. 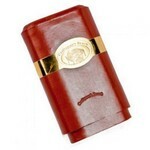 If you don't see what you're looking for, or if you're looking for inspiration before deciding on your next humidor purchase, please give us a call. 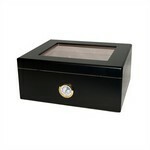 We have access to hundreds of humidors not listed on this page, from 10-counts to wall-sized lockers, that we'd be happy to special order for you! 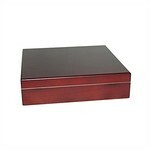 100 Count Surrure Humidor - Include Lock and Key, Humidifier, Hygrometer, and Tray. 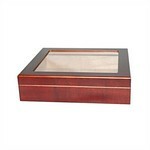 Capri Elegant 25 - 50 Count Glass Top Humidor with External Analog Hygromter - Oak with Walnut Finish ..